Super WiFi Manager App is the best Wi-Fi scanner, manager, and connector app available on Android! A One Stop Shop, which brings together multiple features for easy use! The perfect WiFi Manager for your phone! Save yourself from the hassle of using too many settings for your phone's WiFi and easily manage all your network related issues and problems. Super WiFi Manager is an app which caters and supports all features and functions that can be performed using WiFi to enjoy a seamless data browsing session without struggling to find the best WiFi network near or the confusion of finding the best WiFi network. 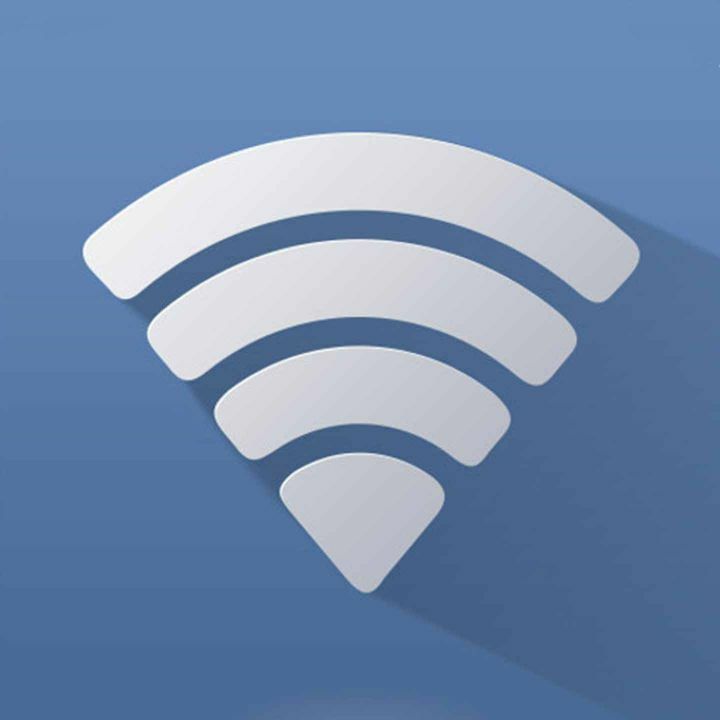 Save the best WiFi network to every place you go and manage them on a priority list in Super WiFi Manager app so that you never have to manually connect to the best WiFi network. Super WiFi-Manager is a professional WiFi-tool for you to analyze your networks and help you to connect to the best available signals! If you are looking for the Best WiFi Optimizer, Manager, & Analyzer then this network tool must be your first choice! 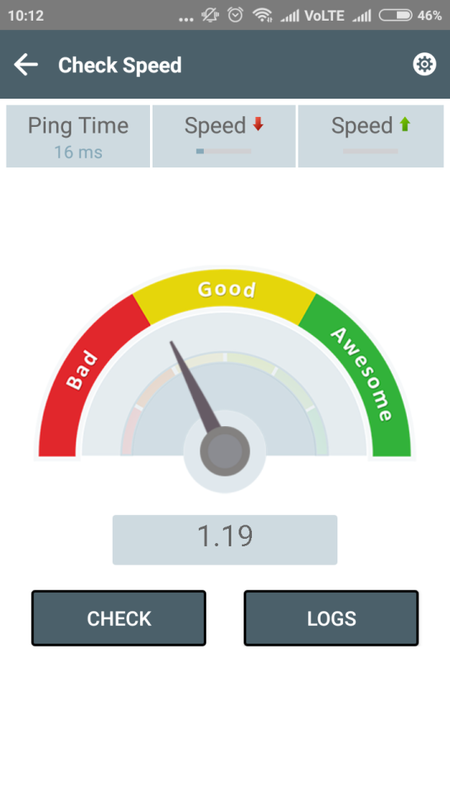 This WiFi analyzer app shows the exact strength of all WiFi networks and lets you find and test the WiFi speed to help to chose the better network. Super WiFi Manager app has the best in class WiFi strength meter which detects the WiFi speed and connects to the fastest network. 1.1 Auto Booster: No more manual fiddling - Get Auto connected to the best available network that is in range. 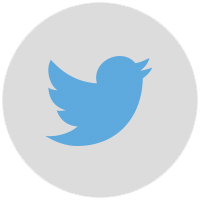 It allows you to switch easily between the available connections. You won't have to struggle with choosing the best WiFi network in your range anymore, leave it to the best WiFi manager. 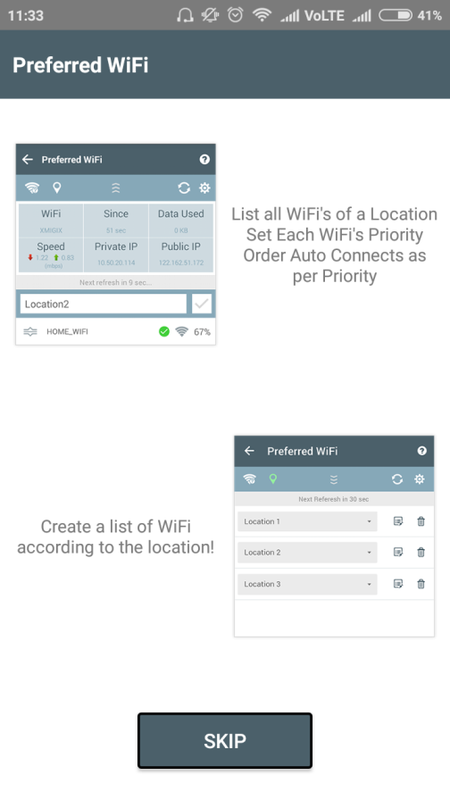 1.2 Priority Order: The features help you in easy handling of multiple WiFi connections. Connects to the WiFi as per the set sequence! 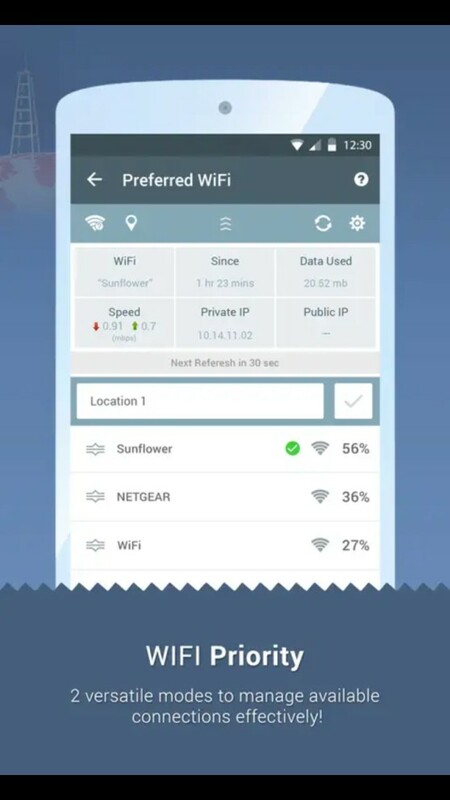 Set the priority of your networks and serialize them according to your wish and the WiFi manager will handle the rest by itself and connect to the WiFi according to your preference level automatically without your intervention. 2. 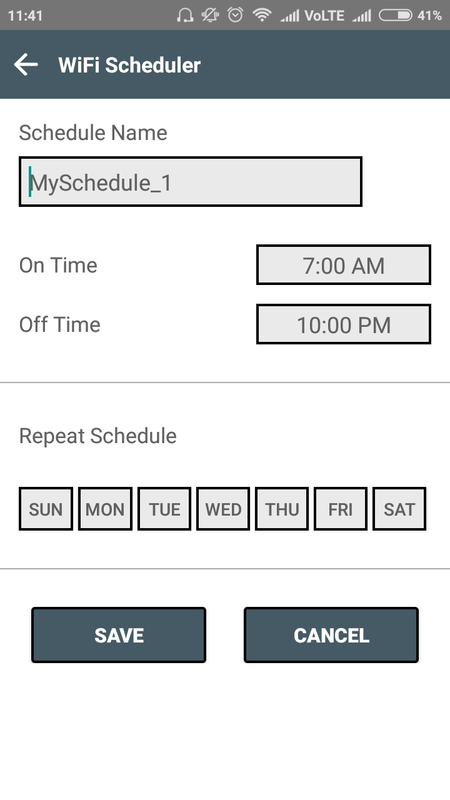 Scheduler: Don't give yourself the trouble to toggle the WiFi on/off every day since your Super WiFi Manager app is perfectly able to do so for you. Manage & Schedule the timings to Switch on/off your WiFi. Specify timings when you want your WiFi connection to start & stop, which will help to save your data. 3. 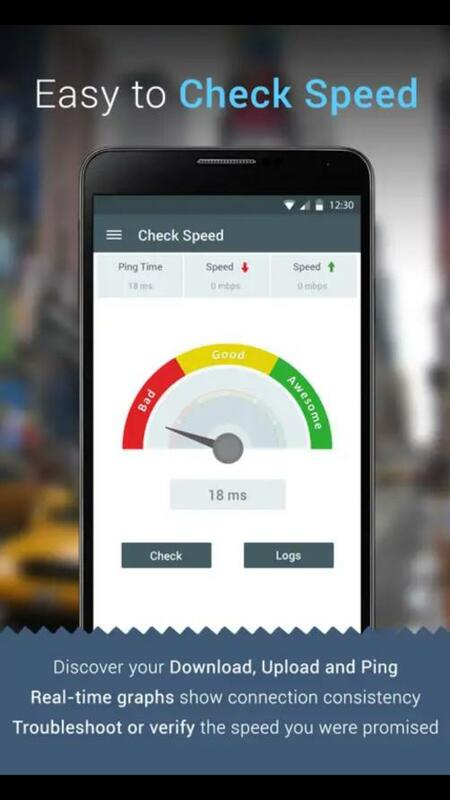 Check Speed: Equipped with a modern Speed-O-Meter you can monitor actual Download, Upload & Ping speed of your WiFi. It also maintains the history of all 'Speed Checks'. Analyze the speed of your WiFi and check whether it stands up to its speed quality standards or not while keeping a log of its regular speed over time. 4. Data Usage: Keep a track of all your WiFi consumption activities and the data usage on your phone and see how you are using your data. Super WiFi Manager app is one of a kind since it maintains a log of your daily, weekly & monthly data usage in both list/graphical format. 5. 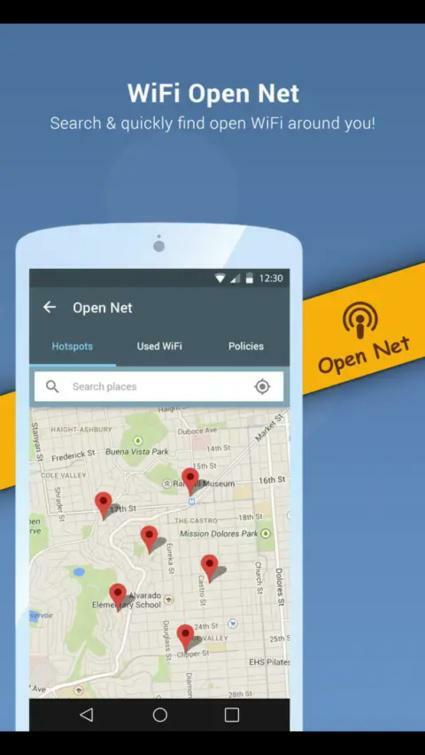 Hotspots: It lists all the available Open WiFi connections & allows you to set the priority for auto connect. Also, it finds free hotspots around you, & auto connects to them every time you're nearby. 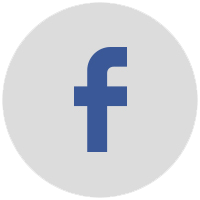 For safety purposes and to safeguard your data and other personal information, we only recommend you only safe hotspots. 6. Track My IP: You can easily track your network activities and the server settings on your phone using the Super WiFi Manager app. 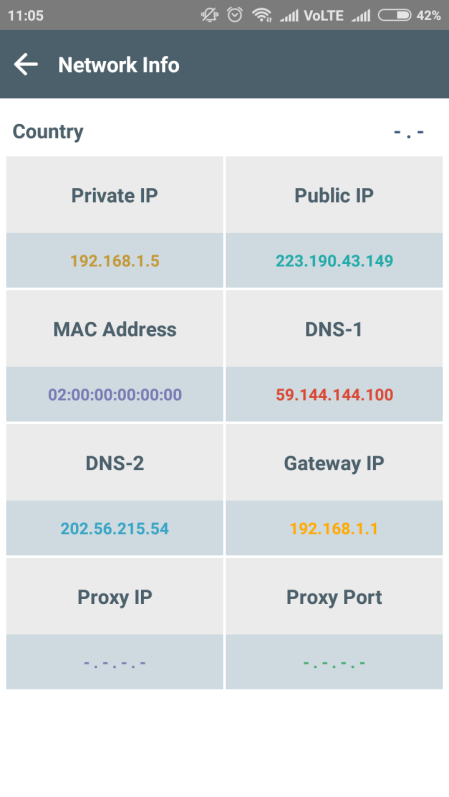 Track your connection's Public & Private IP addresses, MAC address, DNS-1, DNS-2, Gateway IP, Proxy IP, Proxy Post & Country Code. 7. 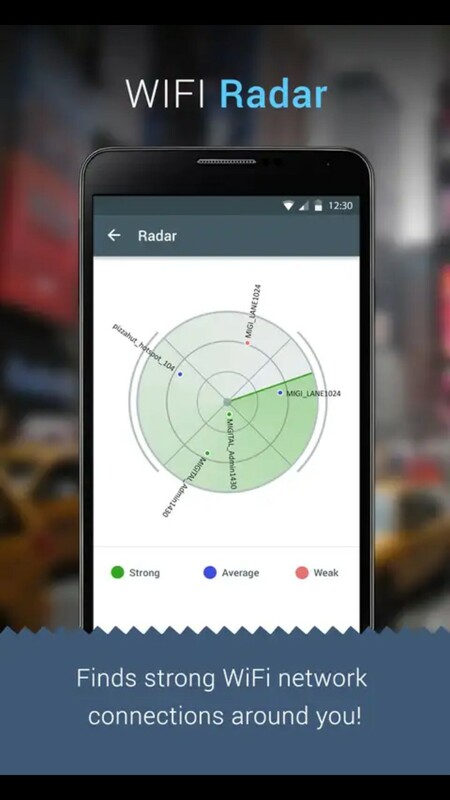 Radar: Turn your phone into a cool radar system and manage all the WiFi networks on this WiFi manager application. The position of the WiFi connection changes as per the signal strength. Use the Radar feature to check the access point (physical location) of your WiFi connection. 8. Whois: Want to know the configuration of any domain name but can't find any reliable source to do so? Using this WHOIS feature you can easily get detailed info about any website which includes domain, registrar, server, creation time, update time and more! There's one more reason to use Super WiFi Manager App. 9. Data Analytics: Sharing is a good thing, we all have been taught this, but keeping an eye on your hotspot while sharing your data with other is important too. Using the Data analytics feature you can track the data consumed by all devices that are using your device as the hotspot connection! 10. Network Spy: You don't have to be a coder or a networking specialist if you have to fetch the core details of the network you are connected to. You can view the MAC address of devices which are connected to your WiFi hotspot. It is that easy, simply open the app and check the network configuration of your WiFi connection. 11. Widget: A Widget is the handiest and easy to use an extension of any app with good features and it comes with Super WiFi Manager app as well. Quickly enable/disable your WiFi directly from the Home screen. Also, you can conveniently keep a check on connected WiFi, data usage, IP & speed of connected WiFi! 1. How to use the WHOIS feature of Super WiFi Manager app? 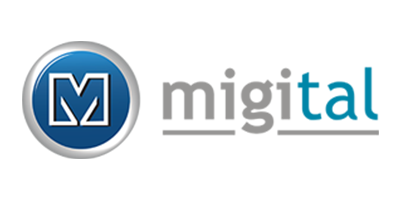 The WHOIS feature is designed to extract the basic information of any domain name for informatory purposes only. 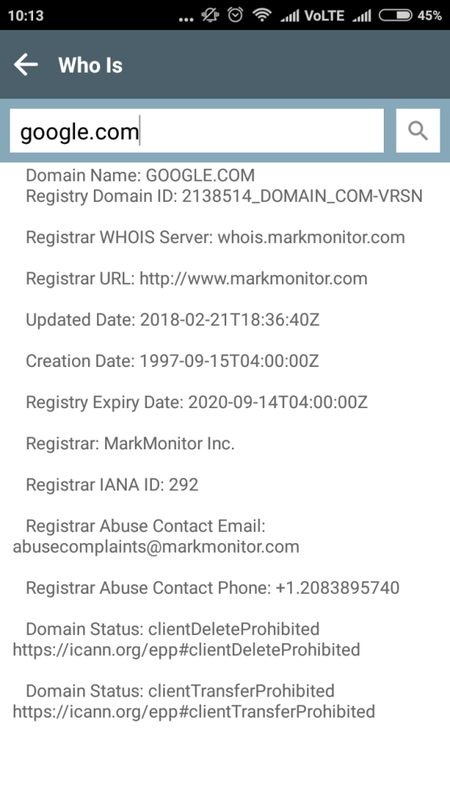 You can find the details of any domain name in Super WiFi Manager app just by going into the WHOIS section and typing the name the desired domain name. Submit the domain name and all the details of the domain name will be displayed to you. 2. Which network details of a WiFi network can be accessed through WiFi manager app? To check the details of any network in the Super WiFi Manager app, tap on the Network info in the app. It will automatically detect the WiFi network you are connected with and will show you the details of the network like Private IP, Public IP, MAC address, DNS servers and much more. 3. How to set data firewall to restrict data usage by apps? You can set firewall settings to restrict the apps selected by you from using the data, however only rooted users can perform this operation. To use this feature go to the Power section and set the data restriction for whichever app that you want to. 4. How to view the password of any saved WiFi network? It gets chaotic when you have to share WiFi password with anyone and you forget the password and you can't directly view it in your settings as well. In such situations, you can open your Super WiFi Manager app and click on Password Recovery in the main menu of power section and can view the password of all your saved networks. 5. How to set the WiFi priority list? You can set the priority of WiFi networks according to the places you often visit, like work, home or any other location. To create a priority list, select on the WiFi icon on the top left in the Priority WiFi settings in the WiFi manager app and select the networks you want to choose for a particular location save them. 6. How to schedule WiFi timings for auto on/off settings? Set timings for your WiFi to get on/off automatically for any particular day or whole week using Super WiFi Manager App. Don't worry about your phone to run out of battery when you forget to turn off the WiFi at night. Go to the WiFi Scheduler in the app and set the timings for which you want your WiFi to turn on/off automatically. 7. How to check the speed of WiFi network on Super WiFi Manager app? To check the exact current speed of your WiFi network, open Super WiFi manager app. go to the tools section and select Check Speed option from the menu. Click on check button to view the live status of WiFi speed. You can also view and compare the network speed of the WiFi by viewing the logs of the previous speed test. 8. How to view all the nearby WiFi networks on the radar? You can choose and select the best WiFi network near you on the Super WiFi Manager app in a more techie way. View all the nearby WiFi networks on a radar like a real techie movie and connect to the network with best strength and speed. Go to the radar in the tools section of Super WiFi Manager app and see all the available WiFi networks over there. 9. How to check the data usage on phone? 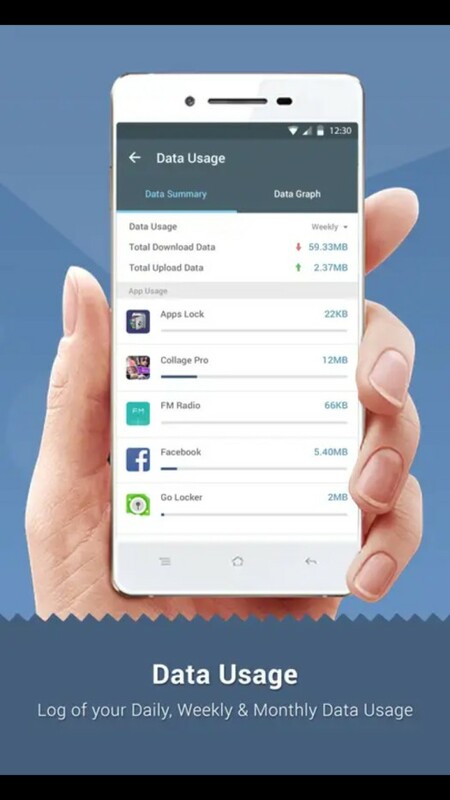 Keep a track of data usage on your phone and log the data consumption on your phone and keep a strict eye on your WiFi data consumption activities. 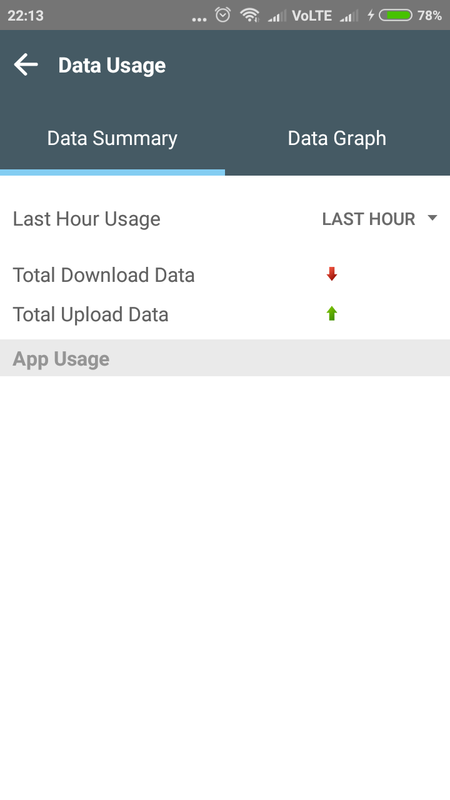 Go to the tools section in the WIiFi Manager app and tap on Data Usage, in this section you can view all the data consumption made through your phone. 10. How to add the Super WiFi Manager widget on the home screen? Our widget is designed to help you quickly manage your WiFi options, You can add the widget of the app on your home screen, go to widget section of phone, drag and drop the Super WiFi Manager widget on your main screen. 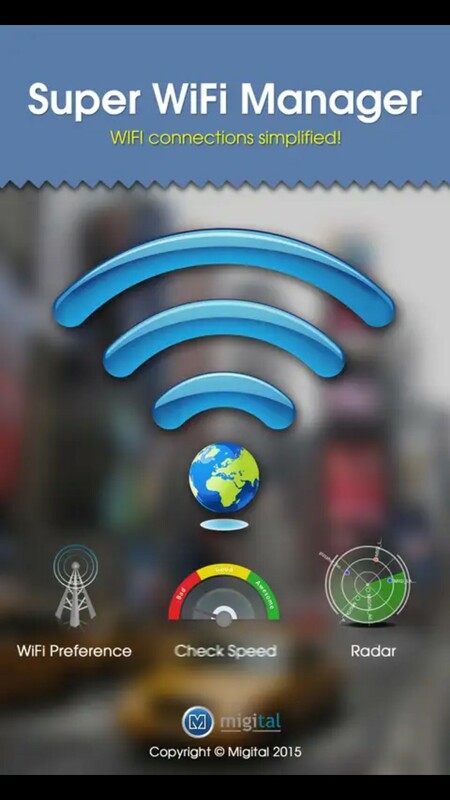 Super WiFi Manager App is a WiFi analyzer app which helps you finding and connecting to best WiFi network automatically. You can manage your WiFi networks according to the places you visit, create priority lists to add selected networks, track your IP address and network settings to enjoy a seamless WiFi browsing network. Manage data usage, hotspot, schedule WiFi timings and much more through the Super WiFi Manager App. Want some useful Tool Apps? Try Battery Saver & Phone Booster App for your Android phone now.